George GM3OXX in his shack near Turriff in 2010. Photo by Alan GM3PSP. 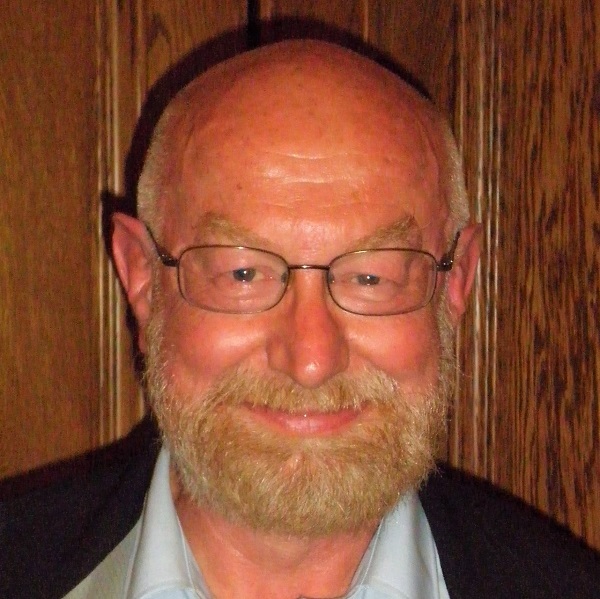 We have heard with great sadness of the Silent Key at the age of 81 on 20th September of George Burt GM3OXX, formerly of Edinburgh, after a long illness. 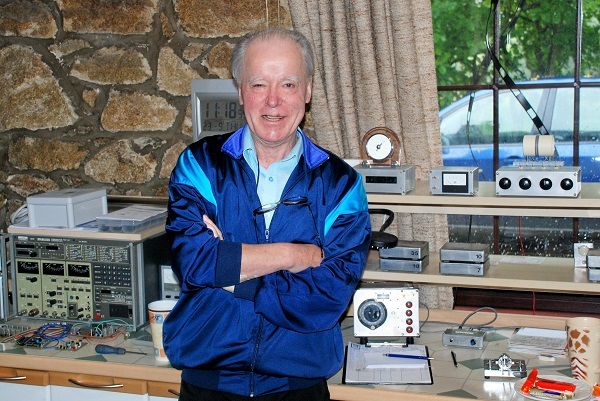 An outstanding constructor and QRP operator, he held the world 3cm record in 1976. George's funeral was held at Warriston Crematorium on 6th October 2017. Nine Amateurs attended. 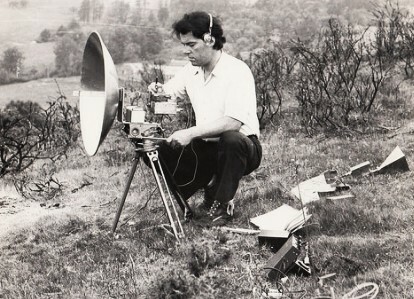 George operating GM3OXX/P on 3cm in 1976. A full Silent Key for GM3OXX is in preparation. Please send any photos etc to Alan GM3PSP. Click for full Silent Kay. 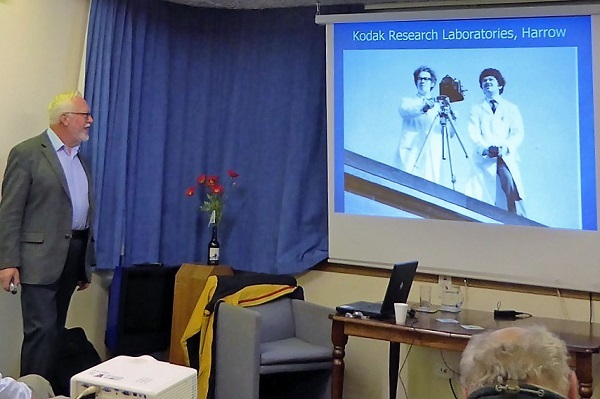 Alan Masson GM3PSP gave an autobiographical talk about his career in the Motion Picture Division at Kodak in the UK and the USA at the meeting of the LRS on 27th September 2017 at the Museum of Communication in Burntisland. 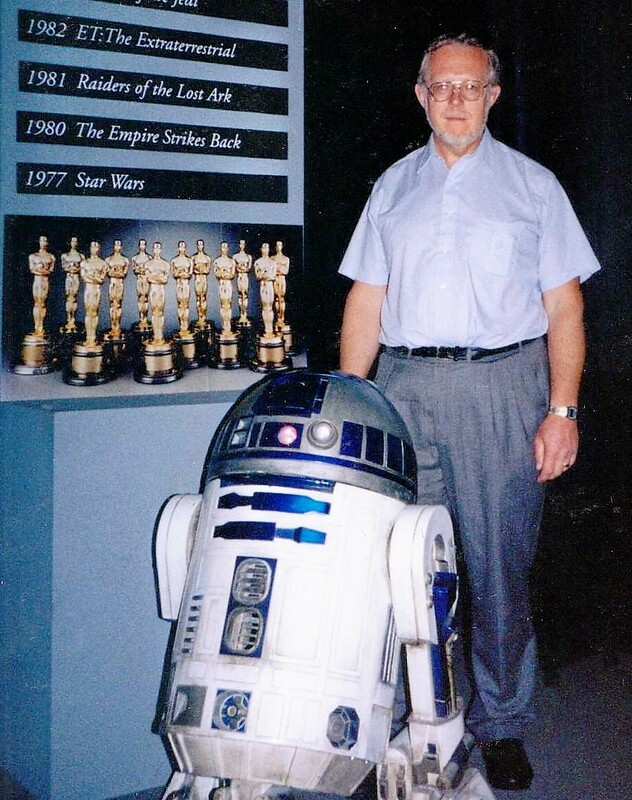 As well as his chemistry training, which was vital in film processing issues, his radio hobby was useful in projects with film sound tracks. Full Report. 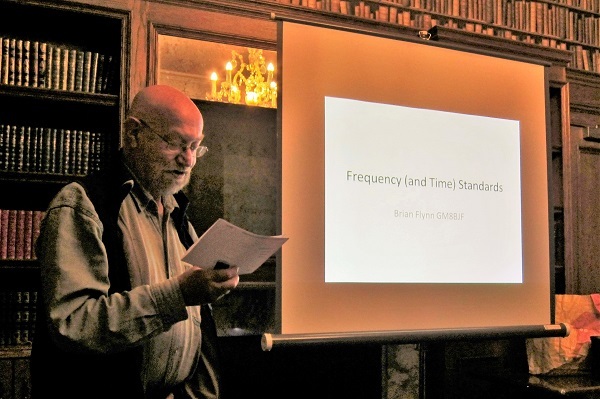 Brian Flynn GM8BJF gave his Presidential Address on the subject of 'Frequency (and Time) Standards' at the first meeting of the new club year on Wednesday 13th September 2017 at the Braid Hills Hotel. Click for Full Report. Best DX: OZ1BEF at 851km. After a nice Saturday, the Sunday Wx was dreadful with 3in deep water in the Scout tent. 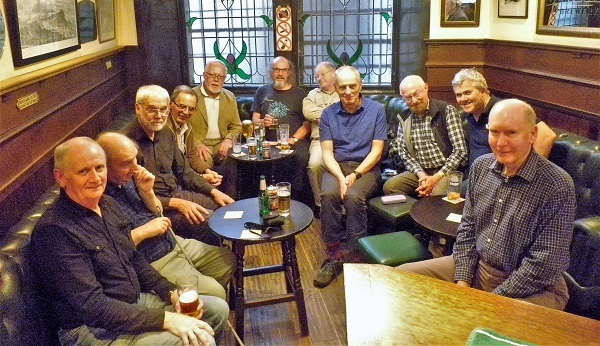 Friday night dinner etc in the Masonic Arms - Pete GM4BYF, Alan GM3PSP, Peter GM4DTH, Danny GM6CMQ, Mike GM4IGS and Norrie GM1CNH. 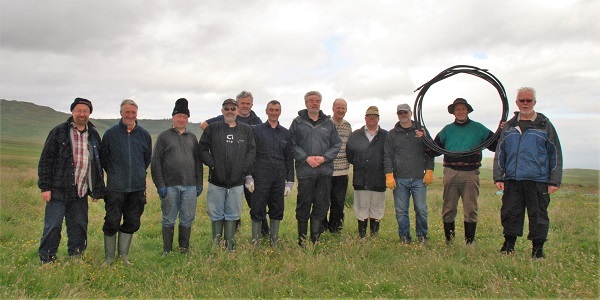 On Saturday morning we were joined by Andy MM0FMF and on Sunday morning by Brian GM8BJF. REPORT. 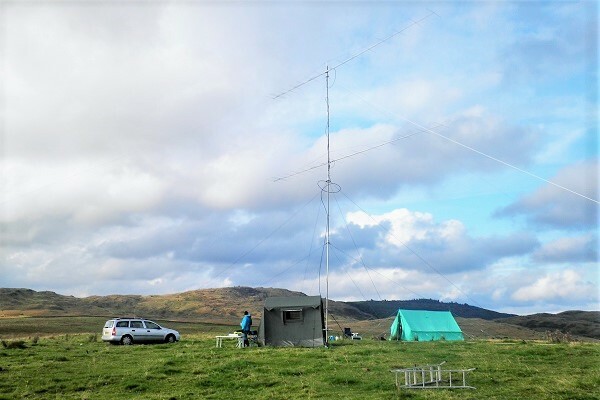 There were nine LRS members at PN4 on 23rd August including Alan GM3PSP who took this photo. 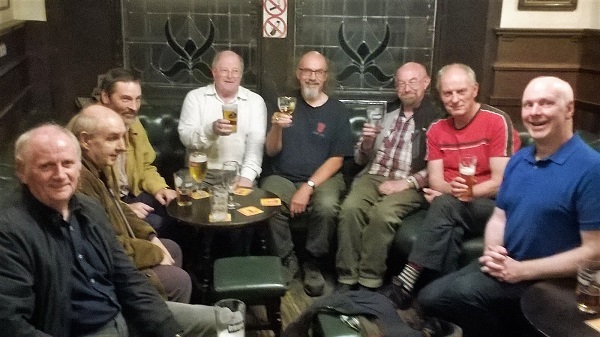 During the summer break in July and August we held our Summer Pub Nights at 'Wee' Bennet's Bar on the corner of Maxwell St at Morningside Station at 8:00pm on normal club nights - Wednesdays 12th & 26th July and 9th & 23rd August. More PN Photos. PN1 on 12th July was the best attended. 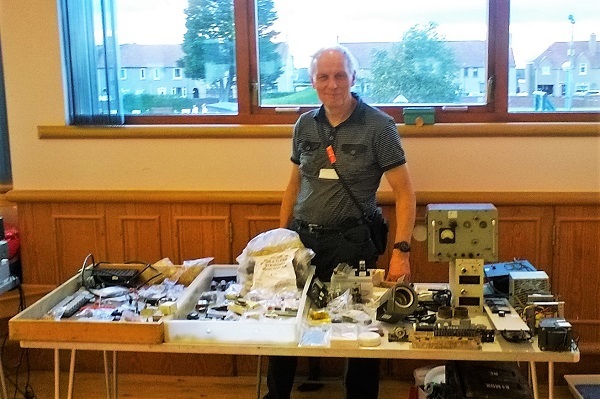 LRS Member Pete GM4BYF had a well-stocked table of ju.. surplus equipment for sale. (Hold the front page)! Congratulations to all the operators. Click for full table of results. 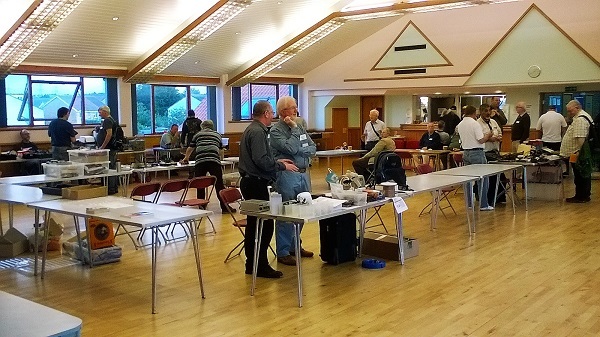 VHF NFD 2017 at Gatehouse of Fleet was another success for the LRS with good wx most of the time and good scores on 50MHz, 70MHz, 144MHz and 1296MHz in the Restricted section. 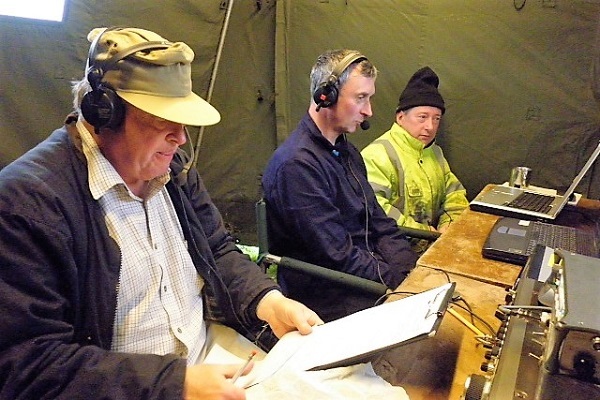 We were joined by Mike GM4IGS from Troon and Terry GM3WUX from Glasgow as operators on 6m & 4m. 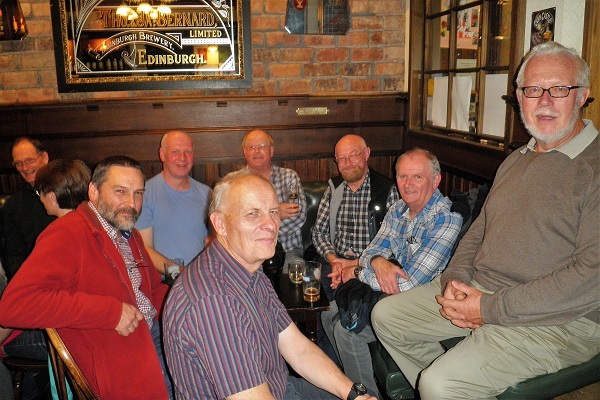 On the Friday after setting up our tents we spent the evening in the Masonic Arms in Gatehouse. 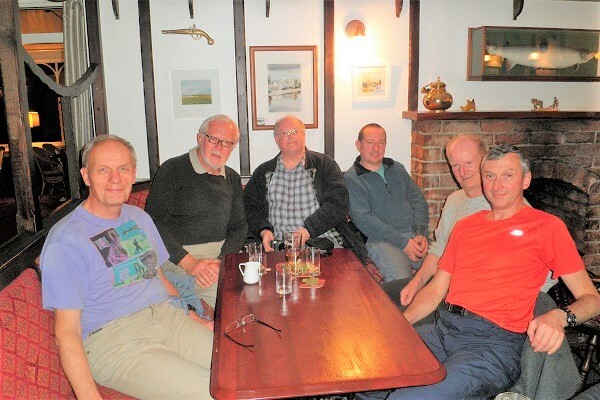 On Saturday Colin GM4HWO provided his usual outstanding bacon rolls breakfast and a very enjoyable barbecue in the evening. 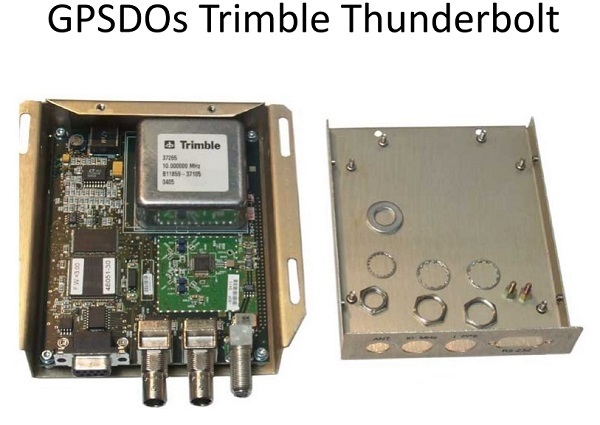 More photos by GM4DTH & GM3PSP in Full Report . Peter GM4DTH, Norrie GM1CNH & Danny GM6CMQ.